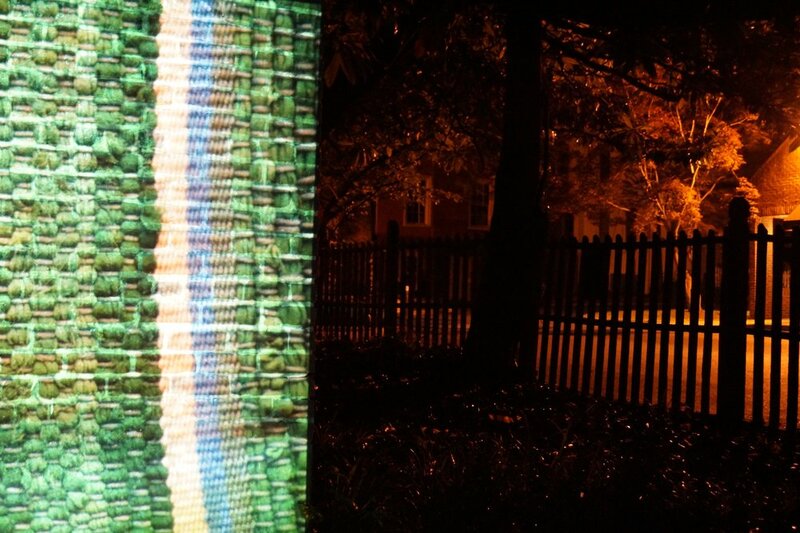 The process of scanning woven designs and projecting them onto public space began in 2015 as a gesture to warm up, even “tuck in” a cold and shadowy part of town at night. 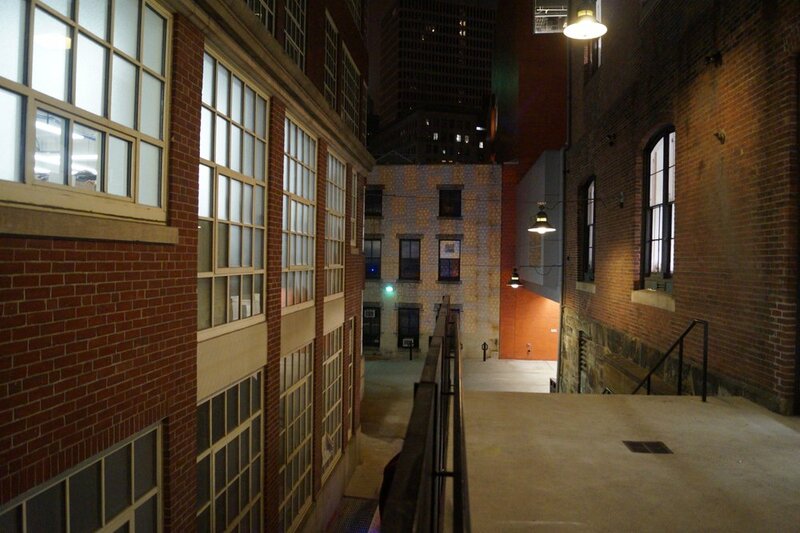 Glowing against the dark architecture, the weavings became an emblem for light, warmth and pride. 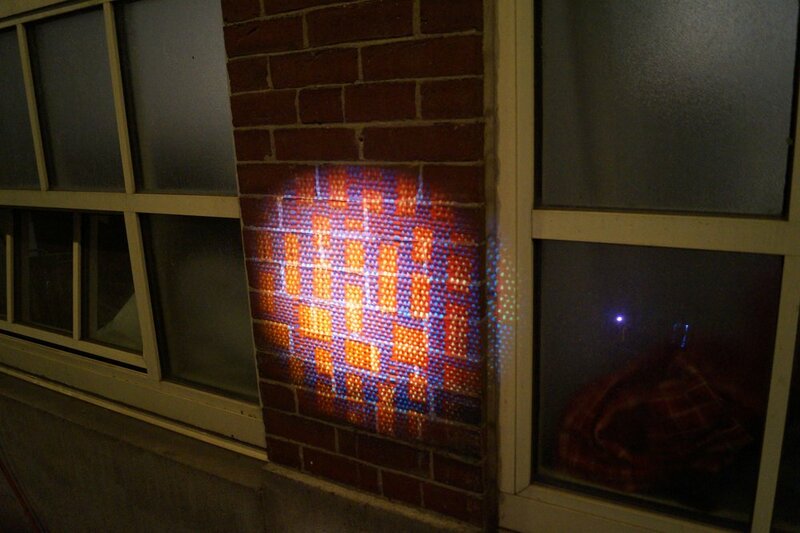 The original weavings are small, measuring approximately 6 x 8”, and by being projected onto buildings their scale is expanded to meet that of the architecture. A reciprocal relationship emerged: weaving illuminating the architecture, while the architecture hosts and expands the scale of the weaving. 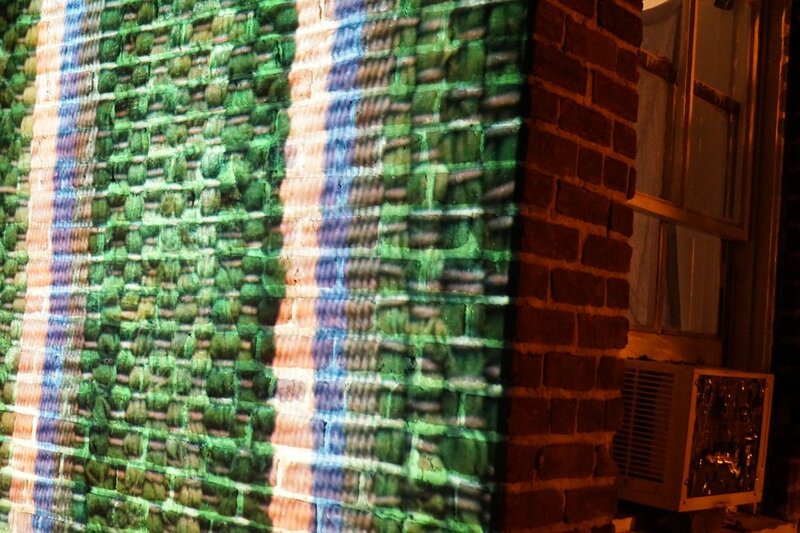 Projected weavings become a point of gathering. The projections act as a remedy to the bleak and cold, but also provide a narrative about bringing small, hidden or often overlooked subjects in society to the pubic eye. Projections have occurred in Providence, RI, Charlottesville, VA and Syracuse, NY. Photographs of the projections sites are photographed, and the photos are printed onto silk to create flags.